As we are all aware that once an application to initiate the insolvency resolution process is admitted and the Corporate Insolvency Resolution Process commences; all the powers of the management of controlling the assets of the Corporate Debtor or Company is transferred to the Resolution Professional or the liquidator as the case may be. How can the creditors secure themselves from the fraudulent transactions or preferential transactions? Initiation of insolvency resolution process does not protect the creditors from further fraud and the ill intention of the Corporate Debtors misusing the assets of the Corporate Debtor. Once the Corporate Debtor is aware or comes under the apprehension that anytime in future an insolvency petition can be filed against the Corporate Debtor, the corporate debtor will definitely try to enter into such transactions so as to benefit the Corporate Debtor through its partners or promoters or guarantors wherein the Corporate Debtor will try to release the security interest and transfer the proceeds in the name of aforementioned related parties or keep the assets of the Corporate Debtor away from the reach of the person who is entitled to make a claim against the corporate debtor. Such transaction puts such creditor or surety or guarantor at a better position than it had been in the normal course of transactions subsequent to the CIRP or Liquidation. If the Corporate Debtor enters into any transaction with any person and receives the value of the particular asset less that what has been paid by the Corporate Debtor. In any case where the corporate debtor enters into certain undervalued transactions with a person deliberately with the motive to keep away the asset from the reach of the corporate debtor or in order to adversely affect the interests of such a person who are entitled to claim against the Corporate debtor. When any business of the corporate debtor is carried on with the intent to defraud the creditors during the insolvency resolution process or before the insolvency resolution process where the Corporate Debtor or any Partner or Director, involved in such transaction was aware of the Initiation of CIRP in near future. In any of the above circumstances the Resolution professional or Liquidator appointed shall file the application for avoidance of the aforementioned transactions to protect the interest of the creditors, however pertaining to undervalued transactions, if the resolution professional or liquidator fails forms its own opinion or to notify the same to the Adjudicating Authority then the creditor, promoter or corporate debtor himself can himself file the application of avoidance in such matters as the case may be. 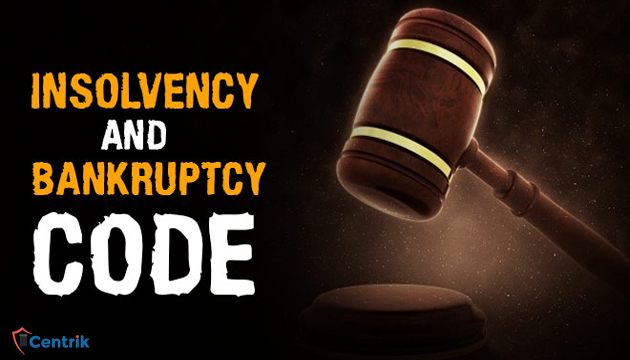 Took place with the related party, as defined under IBC, within the period of 2 years preceding the Insolvency Resolution Process. Took place with any person within the time period of 1 year preceding the Insolvency Resolution Process.